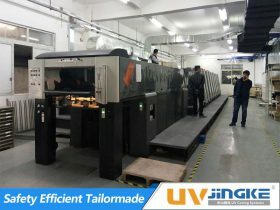 Welcome to Jingke Printing Equipment Co., Ltd. official website! 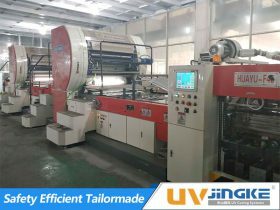 Jingke Printing Equipment Co., Ltd.
Ultraviolet curing has been employed in the printing and converting industries for many decades to help improve product performance and printed longevity. 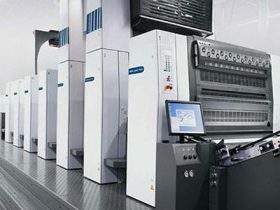 It is an ideal replacement for water or solvent based printing and coating because it is cured rather than dried. 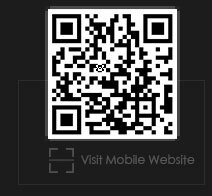 It offers outstanding color strength, rub resistance, scratch resistance and chemical resistance. 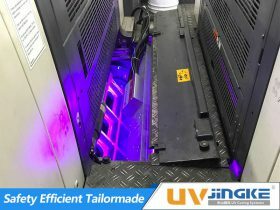 UV curing involves the use of high-powered medium-pressure mercury vapor UV lamps that emit intense ultraviolet energy in the UVA, UVB, UVC and UVV spectral ranges. 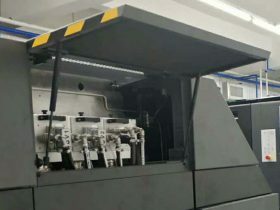 Ultraviolet inks, coatings and varnishes are 100% solid with a specific chemical makeup which typically include; monomers, oligomers and photo initiators. 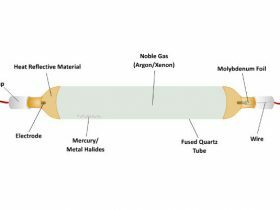 The photo initiators act as a catalyst when exposed to intense ultraviolet energy which in turn forms a permanent chemical bond known as “cross-linking” between the monomers and oligomers. 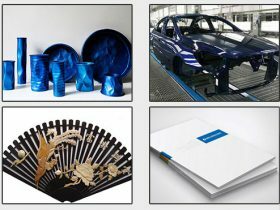 Different photo initiator packages are employed depending on the desired effect of the ink, coating, adhesive or varnish. 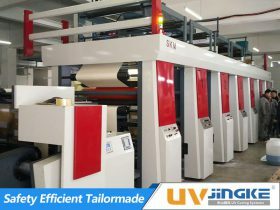 In all cases, the outstanding characteristics of UV cured products offer converters a finished product that is superior to the water or solvent based alternatives. 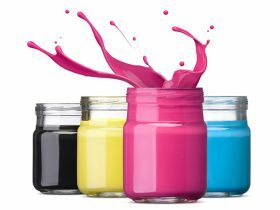 Are UV inks & UV coatings less safe than conventional inks and coatings? 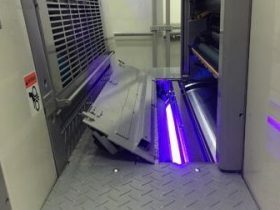 Is LED UV More Expensive? 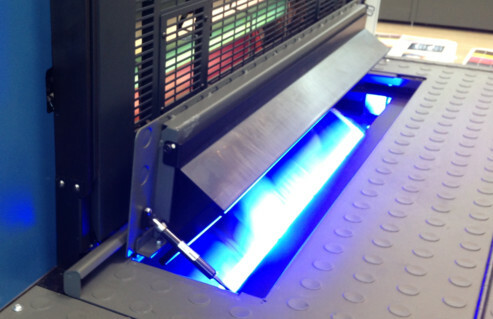 what can you do with a UV curing system?